Nancy Rivest Green was a reader at age three, and a writer by age nine. Those two activities have been entwined in her being for as long as she can remember. Add in her enchantment with nature, beginning from her earliest memories, and she hasn’t really changed much through these many years. Click here to read reviews of Nancy’s books. 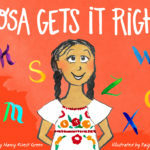 Nancy's very first children’s book, “Rosa Gets it Right!” has been published! Join Rosa in this delightful alphabet book for emerging readers. 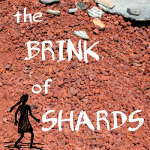 Arizona Authors Association award-winner! Over-consumptive lifestyle, environmental degradation, overpopulation, drought and changing weather conditions – sounds like headlines ripped from today’s newspapers, doesn’t it? 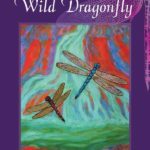 Nancy Rivest Green has three of her short stories published in this book. The stories are also available on this website.